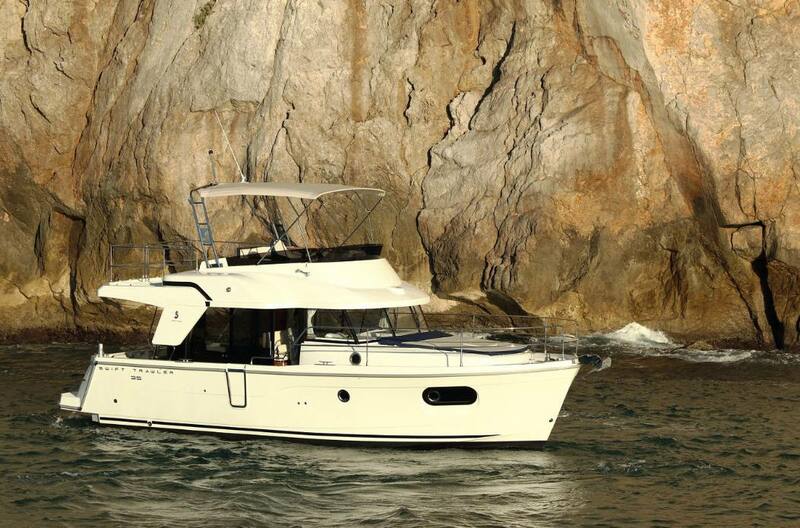 Exterior design: The Swift Trawler 35 has strong harmonious lines making you feel reassuringly safe, and this quality is repeated in the design and fit out choices. 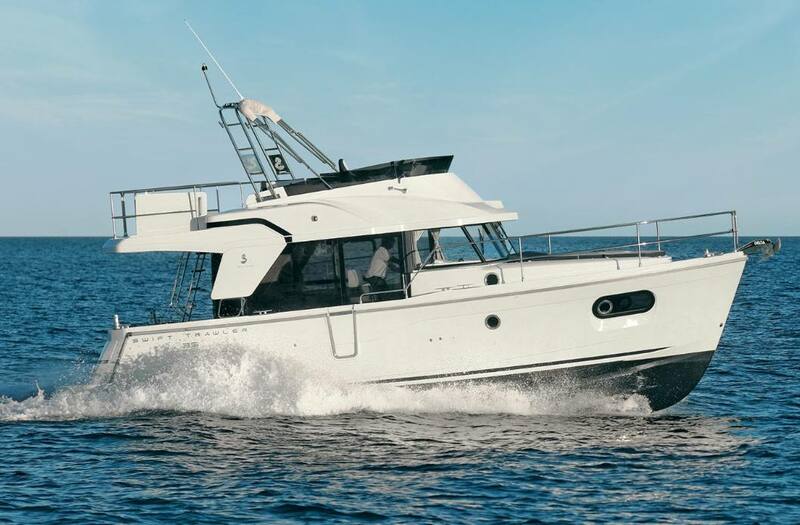 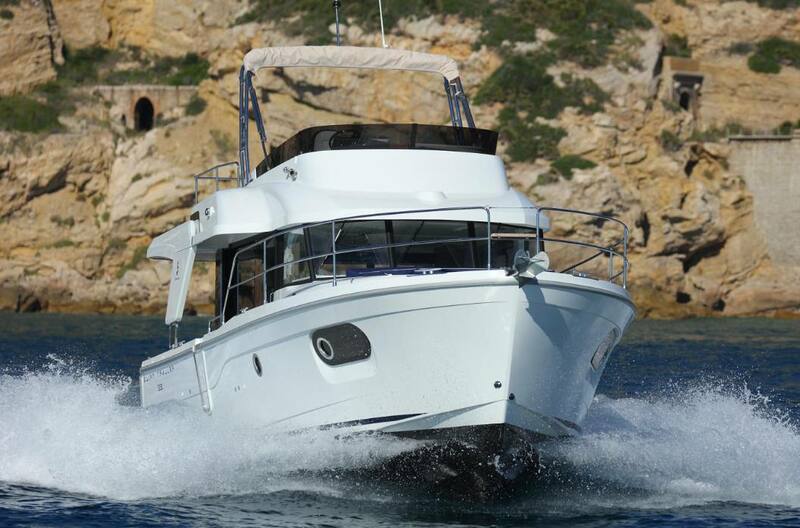 Built on a semi-planing hull developed through the expertise of Beneteau Power, the Swift Trawler 35 has a Cummins 425 hp engine, and together they procure pleasure underway and offer easy manoeuvring. 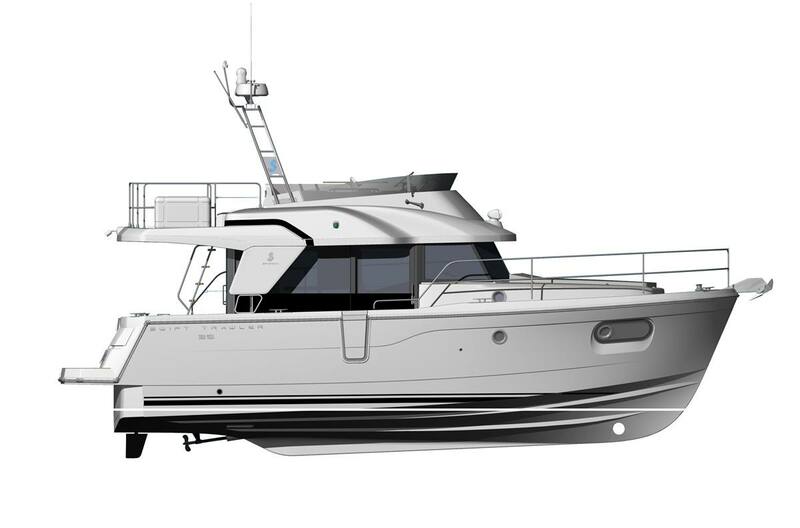 Protected by either a Bimini or a soft top, the Swift Trawler 35's flybridge has a comfortable living space with a sea view. 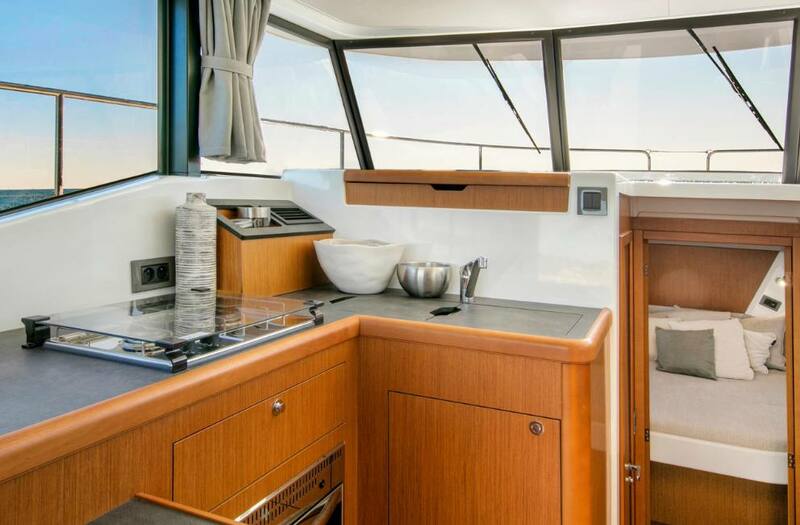 Interior design: Intended for long cruises, the Swift Trawler 35 offers a spacious interior with ingenious contemporary fittings. 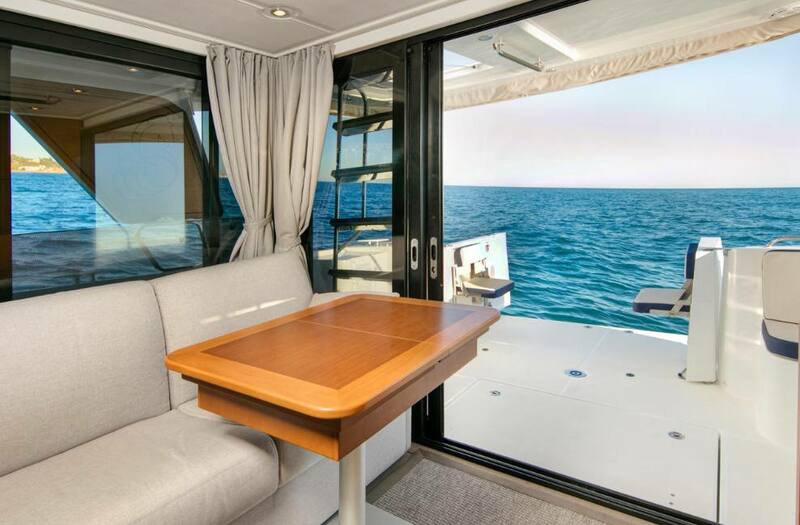 The entirely glazed wheelhouse affords a 360° view and creates a pleasant atmosphere. 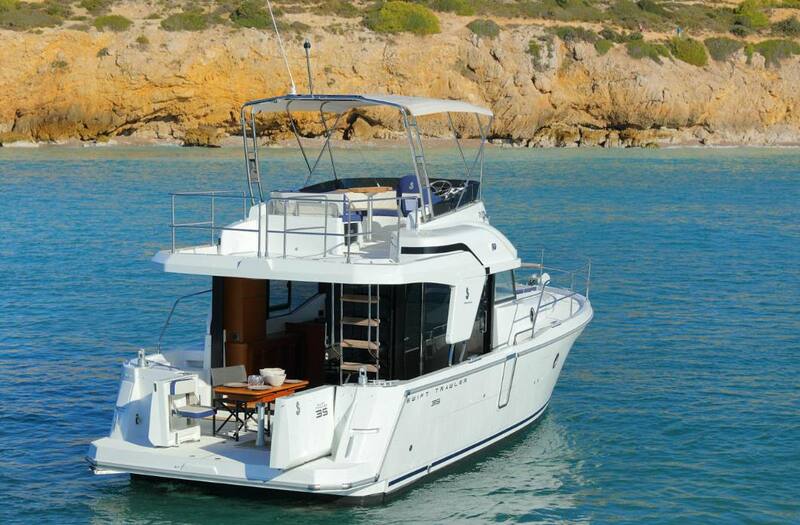 You enter the owner cabin with en-suite shower room and a second cabin with bunk berths, by a gullwing door. 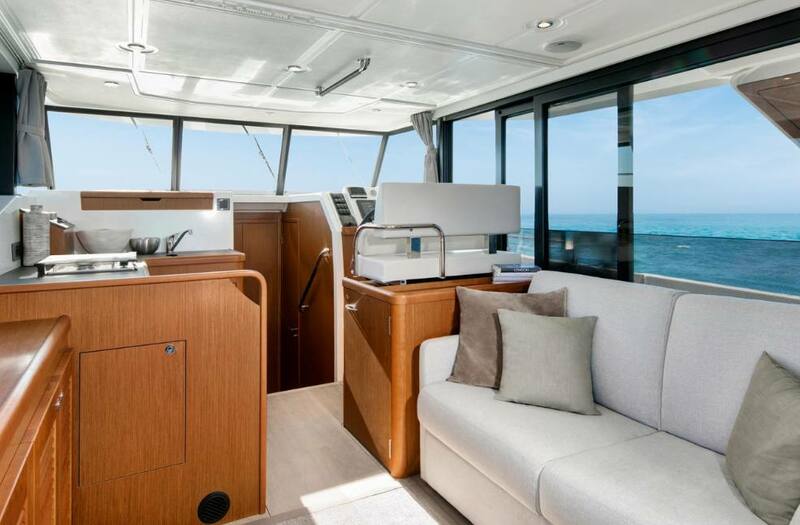 There is plenty of space for guests on the Swift Trawler 35. 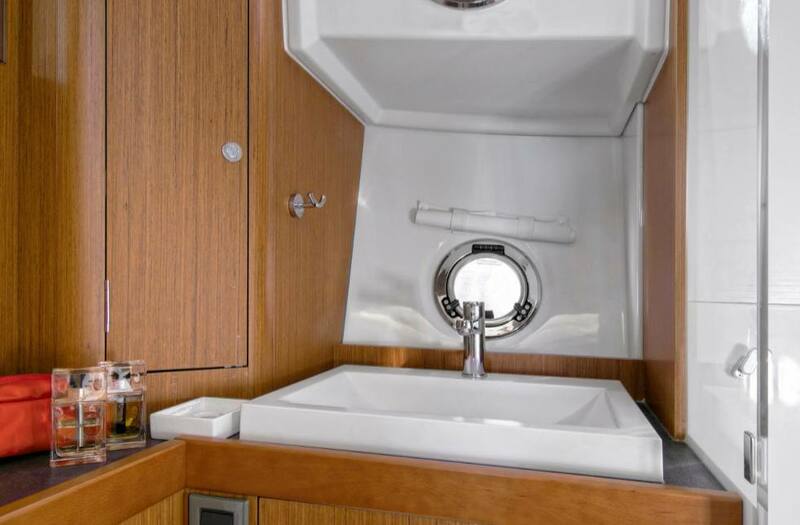 Fitted with a twin sink that converts to a worktop and an extra forward-facing seat, the U-shaped galley offers a convivial living space on board. 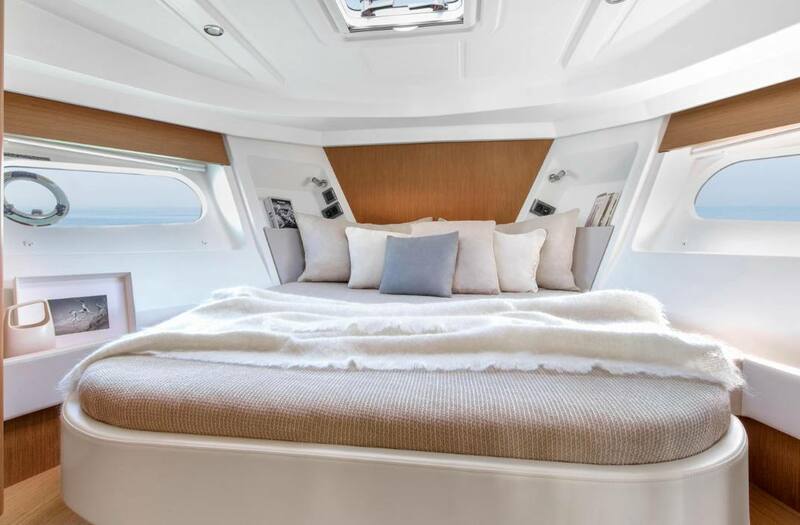 The sofa-bed in the saloon converts to a comfortable double berth. 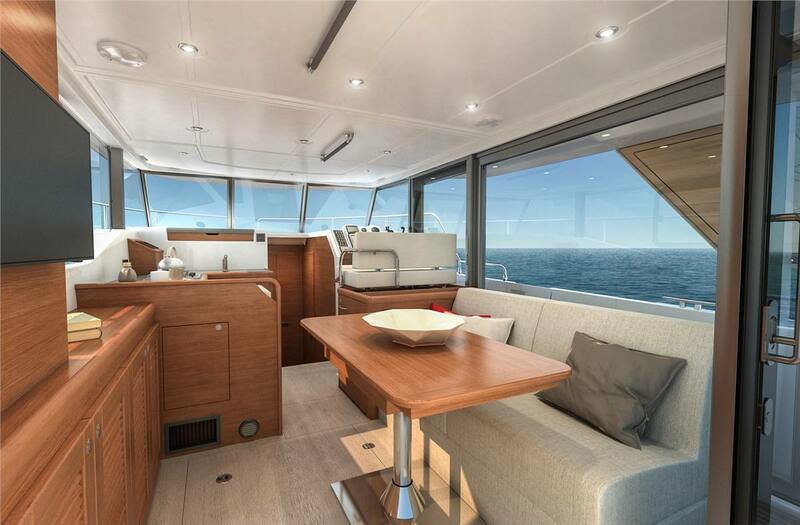 The teak wood matching the wonderfully easy to clean Efficiency® upholstery creates a cosy atmosphere indoors. 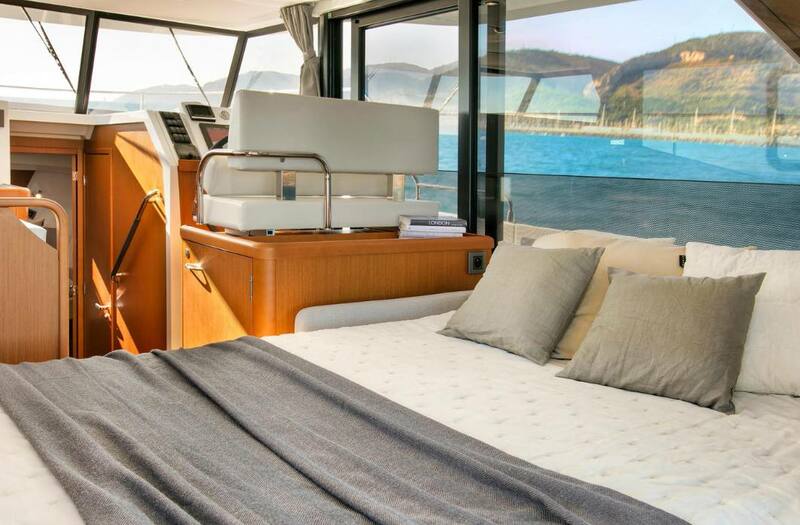 Enjoy a completely different cruise experience.